If you are a friend with us, then you probably know what is inside of the box. The product will help your child or even BONOBO learn the Korean alphabet. Try it with your little tribe and it will create a bond between adult and child. The blocks and tray are handcrafted in the USA by Uncle Goose using non-toxic, lead-free child safe inks. At Allied Operations we want what’s best for our children, safe and fun learning tools. 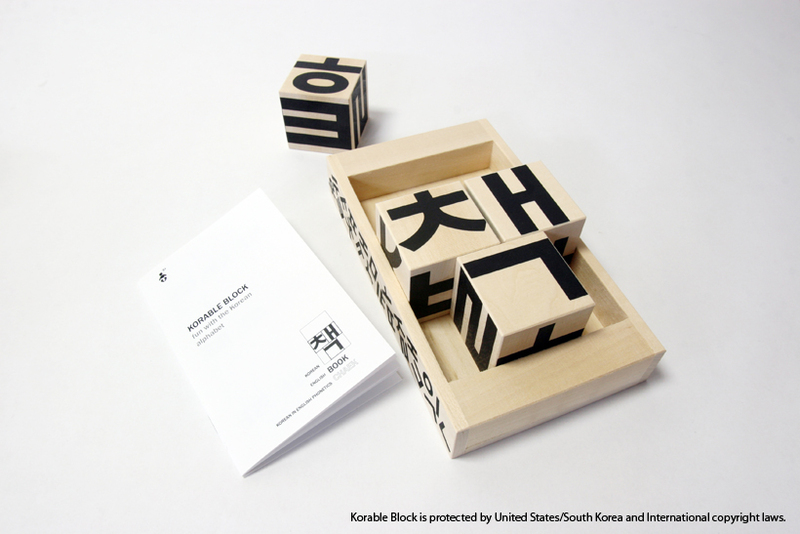 Korable Block is protected by United States/South Korea and International copyright laws. The very first Korable Block demonstration right after “Once upon a time in Korea…” find me at info desk. Please find Korable Block during “Once upon a time in Korea…” Contact, Gallery Director, The Korea Society.